Hello Lithuania and Italy and everyone between here and there. Welcome back, and thank you for visiting. Today’s subject: Limoncello — Everclear made palatable by the addition of lemons, sugar and water. I’ve had the recipe for years. It’s scribbled on a napkin, as the best recipes often are. True Neapolitan limoncello, shared by a southern Italian mamma on the slopes of Mount Vesuvius—a place where you’re apt to find a lemon tree bursting with fruit in every courtyard. Doesn’t get much more genuine than that. And when life provides lemons, Neapolitans drink limoncello. No reason why you shouldn’t do the same. The recipe remained tucked in a notebook until I harvested my first crop of Meyer lemons. Mind you, citrus doesn’t grow year round in Oregon’s Willamette Valley, and I’d schlepped that “tree” in and out of my greenhouse for years, faithfully watering it in summer and heating it in winter. I probably could have driven to California and harvested a grove of lemons for the same effort. The plant is 2½ feet tall, including the pot, and it has only a handful of branches and twice that many leaves. One year, my spindly tree turned half a dozen of its sweet-smelling buds into fruit that swelled through winter and spring. The weight of the ripening fruit bowed those few branches nearly to the ground, and the poor thing looked like it belonged in a Dr. Seuss book. When the fruit finally ripened, it filled the surrounding area with sweet perfume. I resisted picking the fruit. Even locally-caught, fresh Spring Chinook didn’t seem worthy of this lemon juice. Then it dawned on me: I had to make limoncello. You should too. It’s easy. It’s fun. And it’s really, really good. Here’s my recipe for Neapolitan limoncello. Keep in mind that it’s just one way of making it. I believe that recipes are like friendships: they’re made to evolve. This time, try this recipe. Next time, experiment. Play with the ratios. Variation suggestions at the bottom of the post. Note on lemons: Your flavor comes from the fruit. Mediocre citrus will make drinkable limoncello. To make delectable limoncello, however, you want juicy lemons that smell fresh and sweet enough to make you want to eat them like an orange. A zester. My favorite is a Microplane Fine/Spice grater, but any sharp grater that will allow you to remove the exterior yellow peel and leave the pithy inner-peel will do. If you’re not accident prone like me, you can also make do with a very sharp knife. A glass container to store the infusion in. 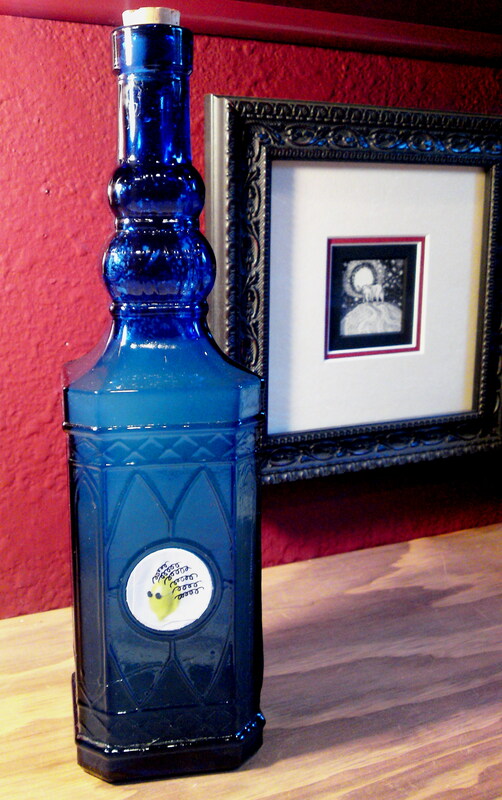 A gallon jar or a large glass pitcher works fine, but I’ve also used large plastic club soda bottles in a pinch. Depending on what you’re storing the infusion in, you might wish you had a funnel handy. After 10 to 12 days: a medium- to fine-grade strainer. Personally, I find that a bit of fine pulp enhances the flavor. It also forms a pretty nebula in the bottle. If you want your limoncello translucent, use a very fine strainer. Boil the water, turn the flame down to low, and stir in the sugar until dissolved. Set it aside to cool. Meanwhile, gently wash, dry, and zest your lemons – just the outermost peel, and as fine as possible without turning it into goo. Freeze the juice of three lemons*** in a Ziplock baggie. When the sugar and water has cooled, pour it into your infusion container. Add the alcohol of your choice and lemon zest. Seal with cap, cork, or plastic wrap. Place in a cool dark place and let it do its thing for 10 to 12 days. After 10 to 12 days, strain your infusion into another container. 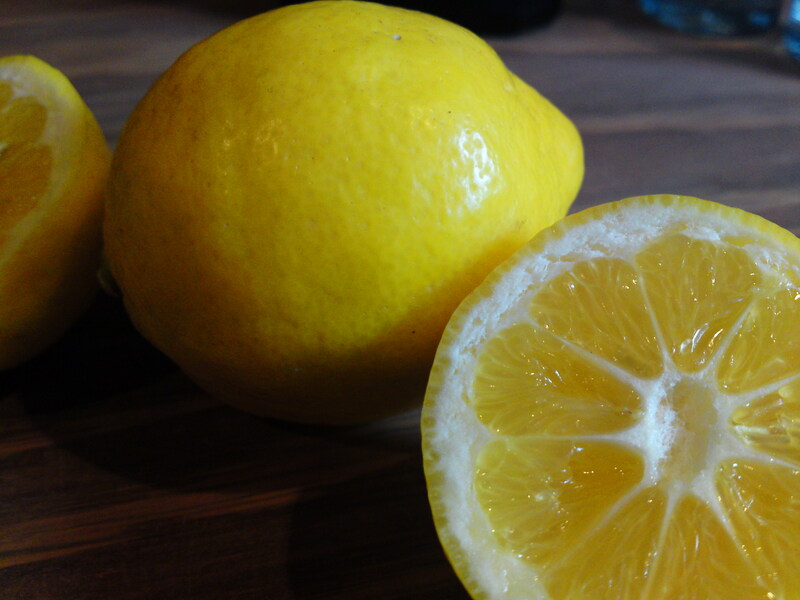 Thaw the lemon juice and add it to the strained infusion. Distribute into clean wine, beer, or decorative bottles. The gallon jar will work fine too, but it gets harder to aim at your mouth or glass after the first couple of shots. Congratulations—you’ve just bottled sunshine. Chill, swirl, swill, and be merry! Store the bottle you’ll serve from in the freezer. I have stored limoncello reserves in a cool dark place for months with no noticeable flavor deterioration. It would probably store fine for much longer, but mine never lasts that long. Try mixing a shot with club soda and prettying it up lemonade/fresh blueberry ice cubes. For dessert, drizzle over vanilla ice cream. * After your first batch, adjust the sugar quantity to taste. I prefer mine less sweet and cut the sugar down by one-third. ** I’m not always up for a shot that will literally take my breath away, as everclear limoncello can. I make most of my batches with vodka, and I cut the sugar down by half. It’s lighter. Friendlier. Lovely on a warm summer eve out on the porch. Depending on your ratios, this version may freeze solid. Store the bottle you’re pouring from in the refrigerator. ***I love my Limoncello extra lemony, so I freeze the juice from all 6 lemons and add it to the infusion when it’s time. A friend of mine waits on the sugar and water mix, and he infuses the lemon zest only in the alcohol for 2 to 4 weeks. When it’s time to bottle, he strains the zest and mixes sugar-water in to taste. Might try doing this myself next time. Most of all, have fun. Make more than one batch and invite your friends over for taste tests. The last time I wished aloud for a lot of lemons, I ended up hauling a crate of over 100 home from California. I zested for days. Got zesters’ elbow—followed by my garbage collector’s sideways looks when I recycled half a dozen empty magnums of grain alcohol. (Shots of the previous batch eased the pain and embarrassment.) Special thanks to those friends — I say we make it an annual collaboration. I say: If you have a box of lemons and I have alcohol, sugar, and water, then we’re both going to have at least two drinks! Wow, that sounds just what I need as the temperature soars in the high 90’s. As soon as I find the right lemons, I will make this. Thank you for sharing. Recipes are like friendships; they're best when they evolve.